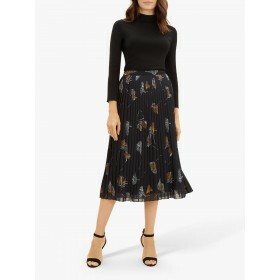 Opt for a contemporary feminine silhouette with the Agnes Floral Applique Midi Skirt from French Connection. 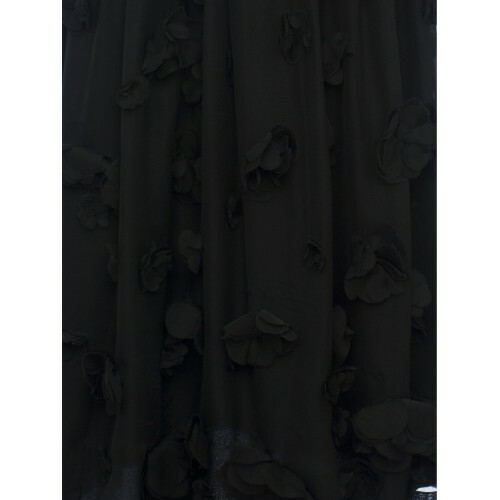 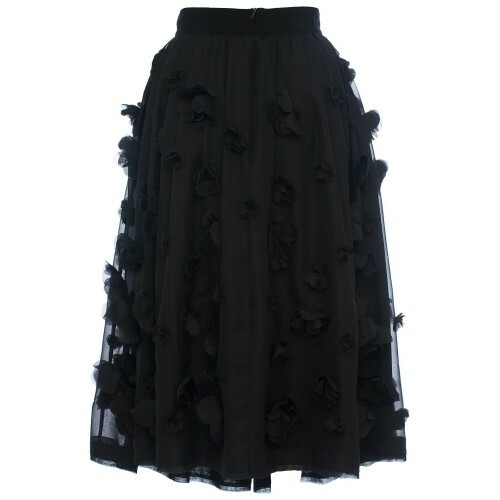 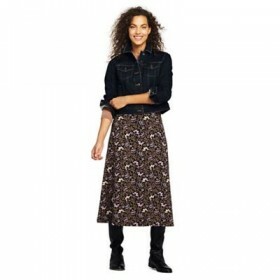 Made from smooth crepe, this skirt falls to a demure midi length and features a fitted grosgrain waistband and statement floral applique for a tactile and artisan touch. 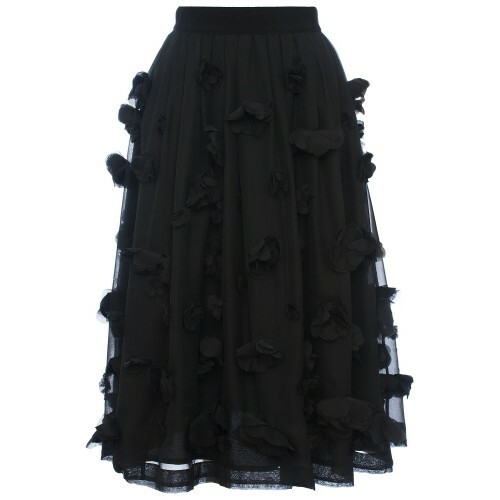 A bold piece to take you from day to evening, pair with a soft blouse and heels for a modern elegant look.